On Sunday, November 1, 2015, a shooting at Winston-Salem State University in North Carolina has left one person dead and another injured according to school officials. The shooting was reported around 1:20 a.m. and the campus remained on lockdown for several hours after. Police have been looking Jarrett Jerome Moore, a person they believe is the suspect in the shooting. He is not a student. Later media reports withdrew his name from articles. The historically black school urged visitors to the campus to stay away, but said student services were operating normally and that classes will be held on regular schedules Monday. The slaying victim was 19-year-old Anthony White Jr., a second-year student from Charlotte, according to campus and Winston-Salem police. A second party was injured by the gunfire. The shooting was reported around 1:20 a.m. Sunday at a parking lot near two dormitories. Saturday evening, technically, was a festival time of Halloween and homecoming activities on the campus. 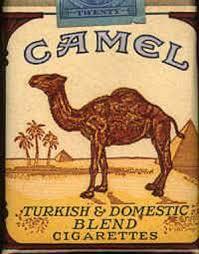 "Camel City" is a reference to the city's historic involvement in the tobacco industry related to locally based R. J. Reynolds Tobacco Company's Camel cigarettes. Winston-Salem is also known for its traditional furniture company. Many locals refer to the city as "Winston" in informal speech. "The Dash" is referenced from the hyphen between Winston and Salem and was popularized by the nickname of the local minor league baseball team, the Winston-Salem Dash. The town established in 1753 on the chosen site was given the name of Salem (named after the Canaanite city mentioned in the Book of Genesis) chosen for it by the Moravians' late patron, Count Zinzendorf. In 1849, the Salem congregation sold land north of Salem to the newly formed Forsyth County for a county seat. The new town was called "the county town" or Salem until 1851 when it was named Winston for a local hero of the Revolutionary War, Joseph Winston. The Rams symbol looks like the two hemispheres of the brain displayed by severing the corpus callosum.